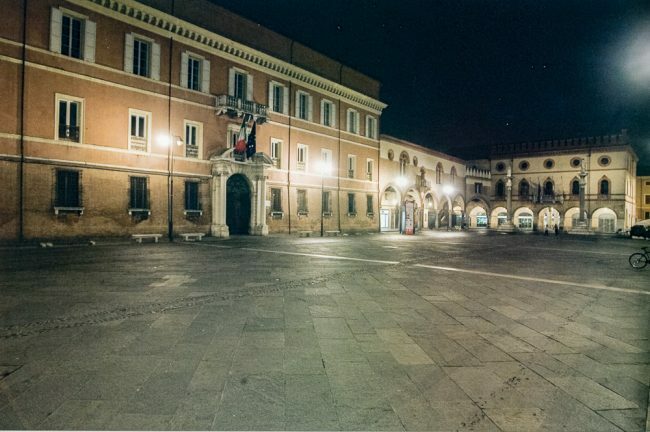 In the place of the Palace of the Prefecture there used to be a complex of the Palace of the Apostolic Legate that represented the Holy See in town; the building was damaged during the pillage of Ravenna in 1512 by the French, it was restored many times starting from 1544, it was later enlarged in 1558 at the expense of the adjacent Palazzetto Veneziano. It was however considered inadequate for the accommodation exigencies of the legates and was eventually demolished also due to severe damages that occurred during the 1688 earthquake. 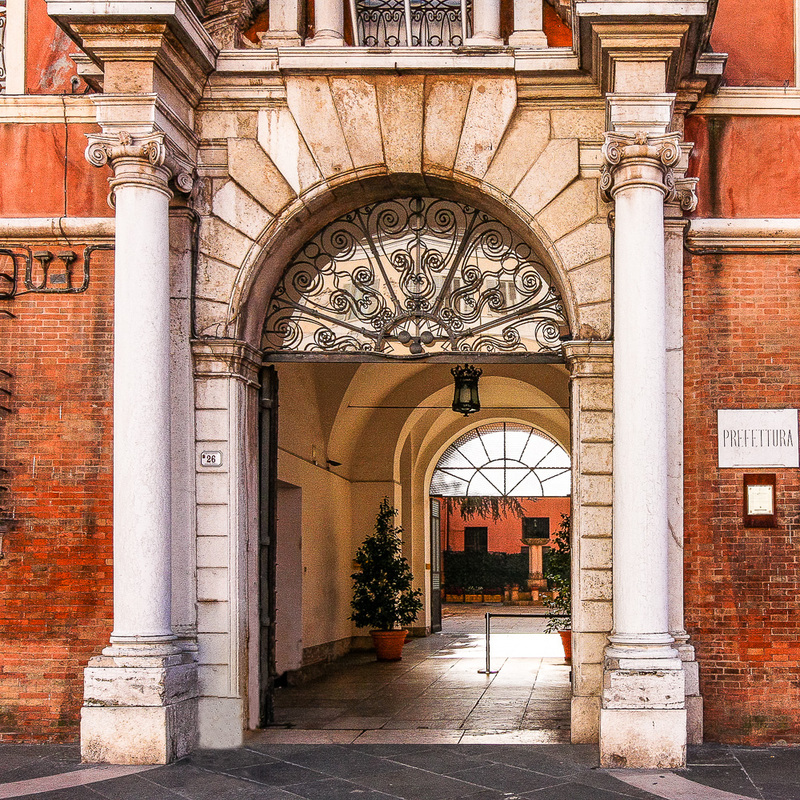 Between 1694 and 1696, with the permission of the cardinal Francesco Barberini, the legate Domenico Corsi had the palace rebuilt together with the adjacent vice legate seat and the public jails that were then demolished in 1907. 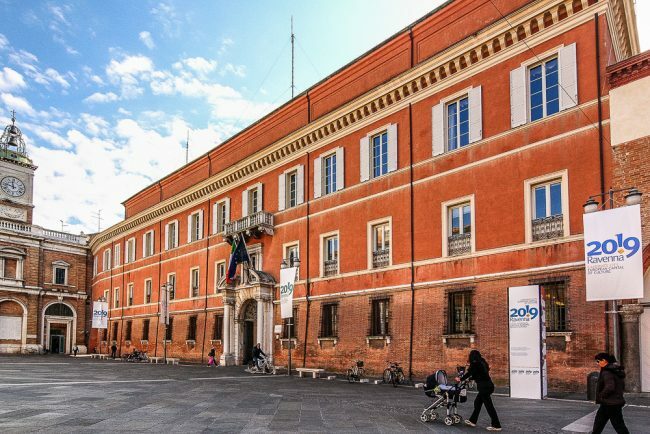 The complex, seat of the Prefecture since 1863, presents an austere facade with three rows of windows, embellished by a marble Baroque portal with a split pediment, flanked and surmounted by columns, very similar to the contemporary Palace Rasponi dalle Teste. The redoing of the face brick plinth dates back to the beginning of the 20th century: delimited by a bull molding in Istria Stone, the base is surmounted by two plastered mezzanines and a blind attic. This vast Palace takes up about two thirds of the southern side of Piazza del Popolo and due to its look similar to the big Roman palaces it is thought to have been designed by the architect Carlo Fontana. 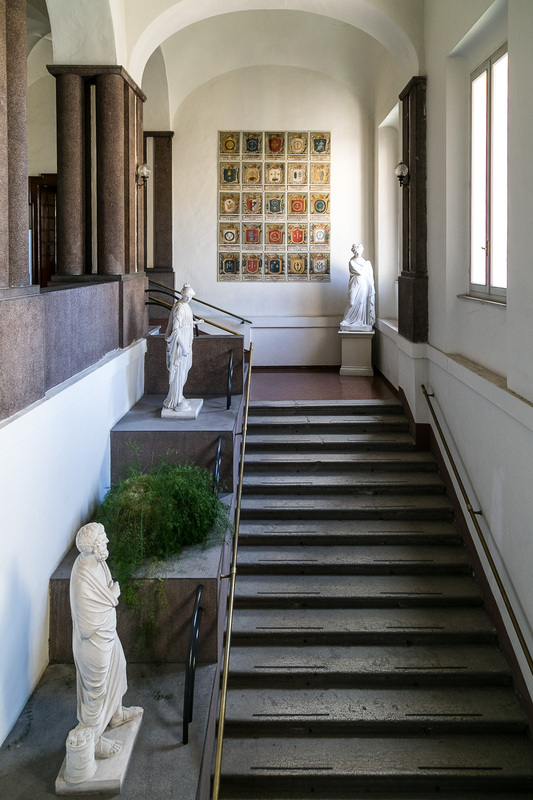 In 1936, while other makeovers were being carried out, the internal monumental stairway was demolished and rebuilt on the project of Cosimo Morelli in 1775. 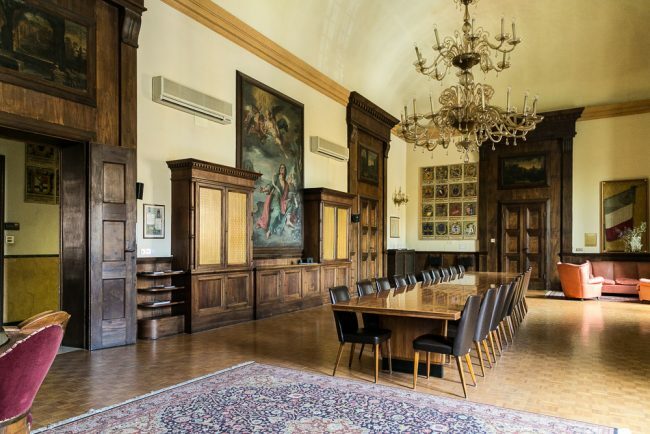 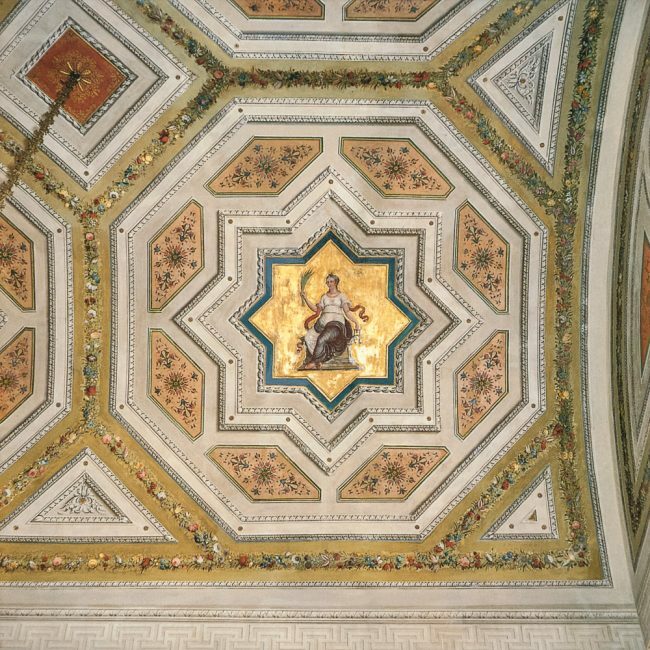 The inside preserves precious Baroque and Neo-classical furniture as well as a collection of coats of arms of the legates of the general administrators and prefects of Ravenna from 1846 al 1961. 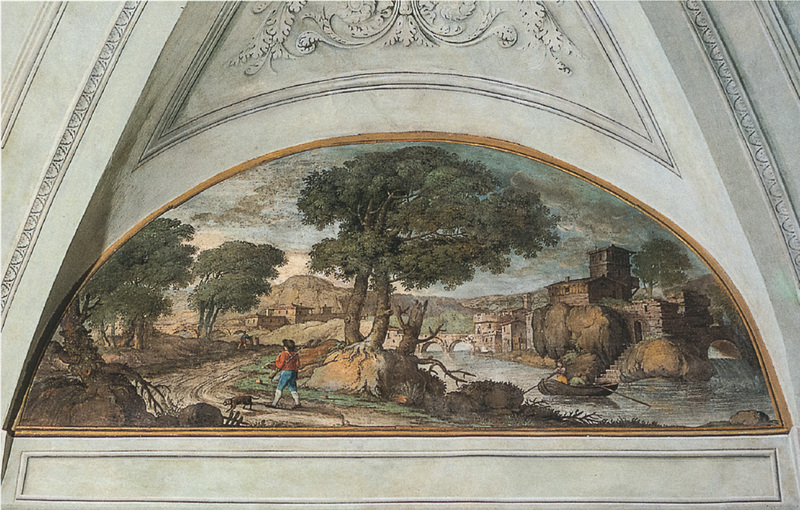 The apartment on the second floor is decorated with late 18th-19th century Faenza-made paintings. 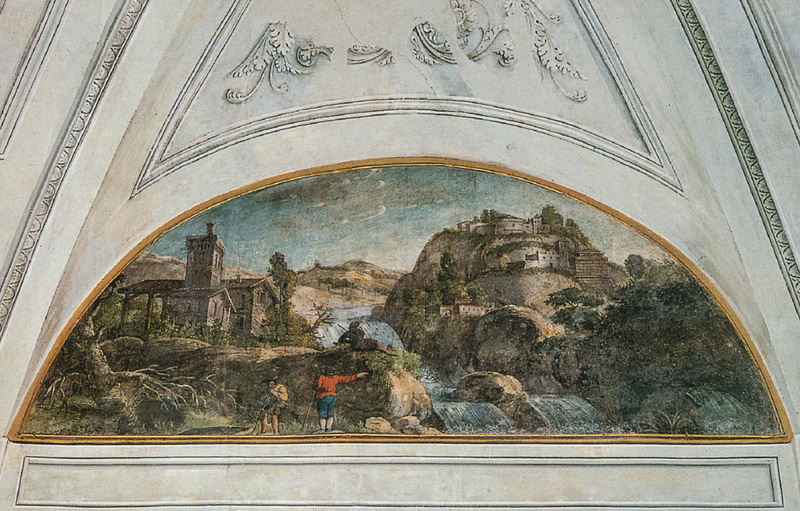 Shortly before 1817 Felice Giani (1758-1823) from Faenza made the decorations of some rooms on behalf of the legate cardinal Alessandro Malvasia: these works were lost probably even before the 1944 war. 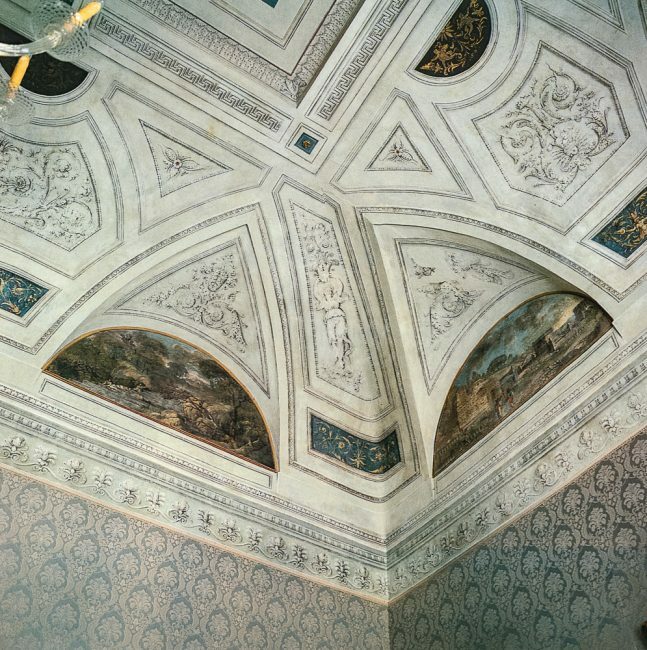 The so-called “Room of the Princess” furnished in the style of the 30s -40s, was prepared for the visit of Prince Umberto di Savoia and his wife Maria that however did not use it. 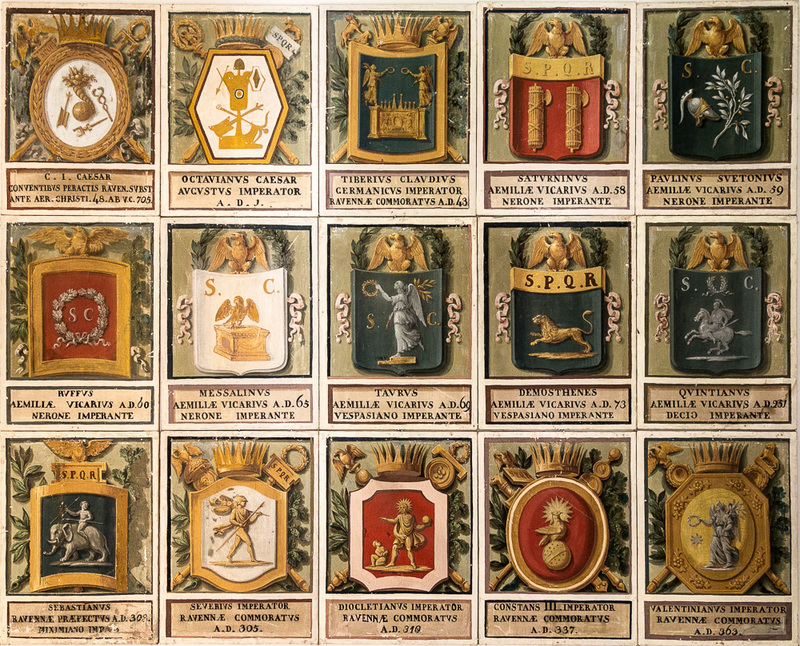 Many of the decorated living rooms such as the “Play Room” and its precious snooker table date back the mid 19th century. The first fifteen of the more than 500 coats of arms with the heraldic symbols of those who have governed Ravenna from Giulio Cesare, in 48 b.C., untill 1961. 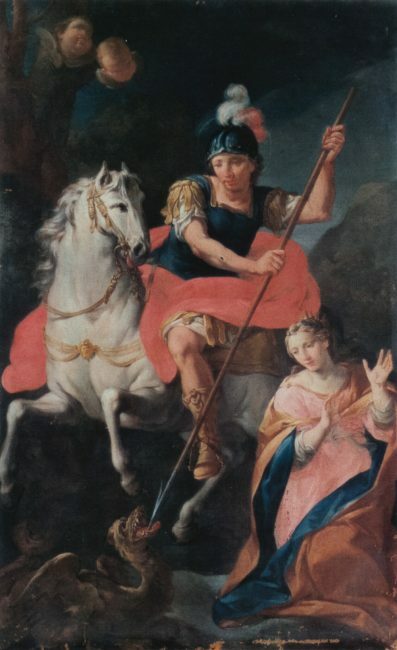 The first 452 canvases were painted by Angelo Ferrari (1799-1894) in 1846 commissioned by the Cardinal Legato Saverio Massimo and, subsequently, from 1849 untill 1861, commissioned by the Governor Francesco Laderchi.